As someone who needs words to understand symbols and images to comprehend concepts, I welcomed, years ago, the advent of instructional books for dummies, that is, for those otherwise excluded from the blessings of knowledge. Remembrance of things past brings me back to my high school (and college) days. When an instructor at the blackboard, after barely explaining what the first written symbol meant, continued to fill the slate with lengthy strings of other symbols. Meanwhile, trying hopelessly to understand the first, I couldn’t follow any subsequent explanation. Hence, lost in the swallowing gulf of irredeemable helplessness and blind incomprehension, I continued to pretend to listen to the lesson (today we would call it ‘fake attention’) – while allowing the imagination to seek an independent course. For so full of shapes is fancy that it alone is high-fantastical. This was typical, though not exclusive, of mathematic and science teachers. And though I managed to get degrees, even with some measure of honor, I inwardly concluded that my wit was as thick as Tewksbury mustard. But the onset of the manuals for dummies persuaded me that, rather than the exception, I represented the rule, or at least I belonged to a community (of dummies), large enough to warrant special attention – instead of being dismissed and consigned to the bottomless pit of the irrecoverably ignorant. That ‘hacking’ is the word of the hour requires no supporting evidence. However, being a snapper-up of unconsidered trifles, my twenty-five readers may wish to know something more about the word and the skillful way it has been employed by some people and parties, in the nebulous world of media, politics and propaganda. Often producing theories, conclusions, hypothesis and explanations for dummies, those unassisted by the suitable manuals just mentioned. “Hack” is a word of old Anglo-Saxon origin (about 1200 AD), “meaning to cut with chopping blows”, whereas a ‘hack’ is a person assigned to do routine work (such as, unfortunately, the corporate media’s hirelings). In this second sense, ‘hack’ is short for ‘hackney’, meaning an ordinary horse, not groomed for racing. Dr. Johnson informs us that calling a run-of-the-mill horse a hackney is an 18th century innovation. “Hacking” in the sense of illegal (or unauthorized) access to a computer system, came about during the early 1980s, as the worldwide web took hold among the public at large. 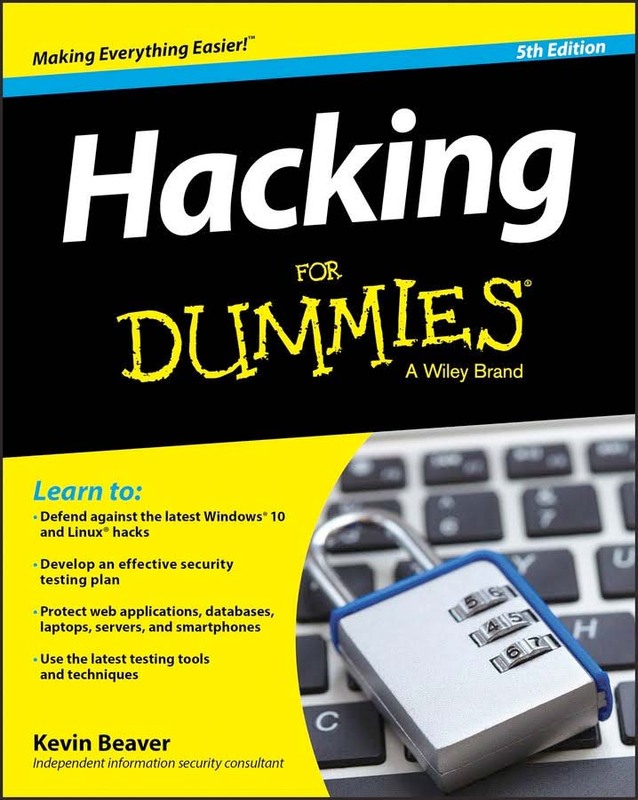 I will not list the basic skills required of a hacker. We could say, however, and with some reservations, that hacking is equivalent to what specialized departments of Intelligence, in the US and England, did during WW2. When the US cracked the Japanese code, and the British the German – the famous ‘Enigma’. Since every country has its own intelligence (a euphemism for ‘spying department’), for the cabal to pretend wonder at the discovery of hacking is yet another of many “springes to catch woodcocks,” laid out by the molders of public opinion. Still, to strain obviousness, and as any web-connected computer or smartphone user knows, he is hacked during every moment of his current earthly existence. “They” know where he is, where he goes, what he reads, what he likes, what he buys or would like to buy but doesn’t. Recently I looked for a replacement part for a vacuum cleaner. Ever since, I have been receiving continued unsolicited offers for all sorts of vacuum cleaners and associated gadgetry. The hacking community has split the discipline into white, grey and black categories. Where “black hacking” corresponds to a new form of illegal spying. All this, again, is so obvious as not to even warrant the mention. More interesting, however, is that, with a virtual sleigh of hand, “those who count” – call them CIA, FBI, Deep State or other – have equated “hacking” to the presence of somewhat unorthodox TV stations and Internet sites, such as Russia Today and Press TV. 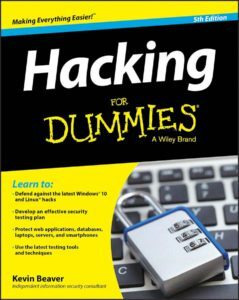 The sleigh of hand consists of including these new information sources in the same “reports” or “dossiers” on hacking. The inference being that “heretical” news is a form of hacking the mind of the helpless citizenry. For those who have followed the development of the election campaign and obtained information from ‘heretical’ sources, the claim that Russia had a hand in piloting the elections is beyond ridiculous. It shows and reaffirms the arrogance of the establishment and the contempt by the ruling cabal towards the people it claims to represent. That Princeton University (the refined distillate of American genius) proclaimed a 99% probability of Clinton’s victory, thanks to its infallible statistics department, is a symptom of the arrogance and blindness characteristic of a certain ‘cultural’ milieu. Leaving ‘greatness’ aside, which is commonly in the eye of the beholder, the other promises are equally bound to melt into air, into thin air and leave not a trace behind. And it will probably be proven, once more, that we are such stuff as dreams are made on, and our little life is rounded with a sleep. ** The surviving historical unions having become part of management, hence essentially destroying themselves as regulators of labor and economic fairness. ** The explosion of the financial industry, which produces nothing, but, using fake assets bought and sold with fake money (hedge funds), enriches a parasitic community by sucking the wealth created by actual producers. ** The limit on immigration that appealed to many voters. But, again, any possible and questionable curbing of illegal immigration is amply compensated by the farcical H1B workers visas loophole. Which is but a legalized way to deprive Americans of jobs by hiring aliens. And each new alien, theoretically, opens a path for legal immigration to 237 other family members. To wit, from 2010 to 2016 the US population has frightfully grown by 16 million net units, through immigration and higher birth rates among immigrants. Furthermore, and quite apart from the unions, the changes in science and technology have broken the power of the industrial workers, including the skilled. Workers are no longer central to a vision of an equitable society. Tackling the problems arising from the new structure of production and the administration of resources, requires vision and courage. If vision and courage exist they are not visible, certainly not in academia, further transformed from a seedbed of innovation into a medieval fortress of the status quo. Plato’s utopia, which would have the philosophers take over the management of affairs has long been turned on its head. Men of business are in command of the pursuit of knowledge, under the direction of extremely well-paid captains of erudition. And there is no prospect for an abatement in the foreseeable future, including Trump’s. Of course, this will not trouble the mind of those who have freed themselves from the notion that the increase and diffusion of knowledge is, in the end, more to be desired than the acquisition and expenditure of riches by the astuter men in the community. If there’s a history in all men’s lives, there is equally a history in all ideologies. The history of the year 2017’s ideology was born with Reagan, with trickle down economics (an image of the crumbs trickling down to Lazarus from the table of Epulon), with the idea of the ‘exceptional’ nation, the Zionist-concocted ‘new Pearl Harbor’ and 9/11. Readers will correctly point out that there are notable exceptions acting as powerful ingredients of the economy –the armament, the prison and the illness industry, to name a few. The armament industry explains the obsession with foreign military interventions. And it justifies the upkeep and expansion of 1000 foreign bases, violent regime changes, 4th generation warfare, bloating CIA and associated organizations, the National Security Administration with its massive operations, mercenary military subcontractor armies, etc. Beyond a certain limit, the mind ceases to grasp numbers. It is asserted by many in the know, that while the official “defense” budget is less than a trillion, it actually amounts to 1.5 trillions. Given the ridiculous pantomime about hacking and Putin controlling the US election, we must conclude that when it comes to ‘creating their own reality’ little, if any, has changed. Talking of 9/11, one detail has escaped the attention of the fake MSM media. Namely, that Trump is the only one among the big wigs that count, who stated and gave reasons why the towers were not brought down by planes. If he will recant on that declaration or not, may be a clue on whether, politically speaking, Trump will prove a lion or a sheep in sheep’s clothing. In the meantime, though in a quiet tone of voice, he has already relented on the business of “hacking.” He said that “we must look at Russia as the source.” Whether this is conviction or homage to “real-politik” (i.e. fraud), is at the moment inconclusive. Many knowledgeable observers have already commented or given articulate and instructive predictions and scenarios on how Trump’s presidency may unfold. I will not add more. However, based on current clues, and considering the irrefragable power of the cabal waiting for Trump’s arrival, I think we will know pretty quickly whether we should continue to be confident, or put off our hopes and keep them no longer for our flatterers. This entry was posted in After Dinner Quotes, Amusing Shakespeare, Best Shakespeare Quotes, Chances Quotes, Philosophical, Psychological & Historical Considerations, Polite Insult, Shakespeare and Politics, Shakespeare in Politics, Shakespeare on Education, Social Exchanges Shakespeare style and tagged best shakespeare quotes, election, fake news, hacker, hacking, trump. Bookmark the permalink.